"Sink... to the bottom... again... and again..."
From the popular game 'Kantai Collection -KanColle-' comes a figure of the abyssal ship that featured as the boss on the 'Ironbottom Sound' event map, 'Airfield Princess'. 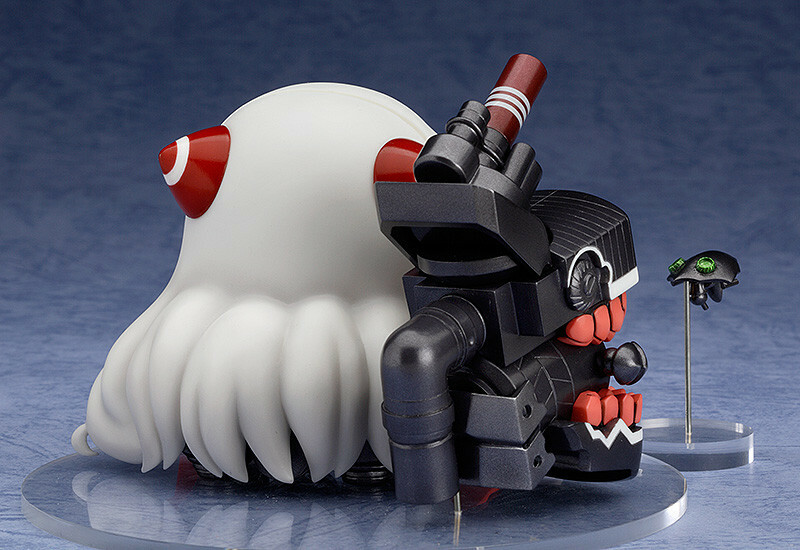 The figure is based on an illustration by Kengou Yagumo - ready to join the adorable 'Medicchu' series of chibi figures! Her white body and long flowing hair as well as the runways at her sides have all been sculpted in great detail, faithful to the original illustration! 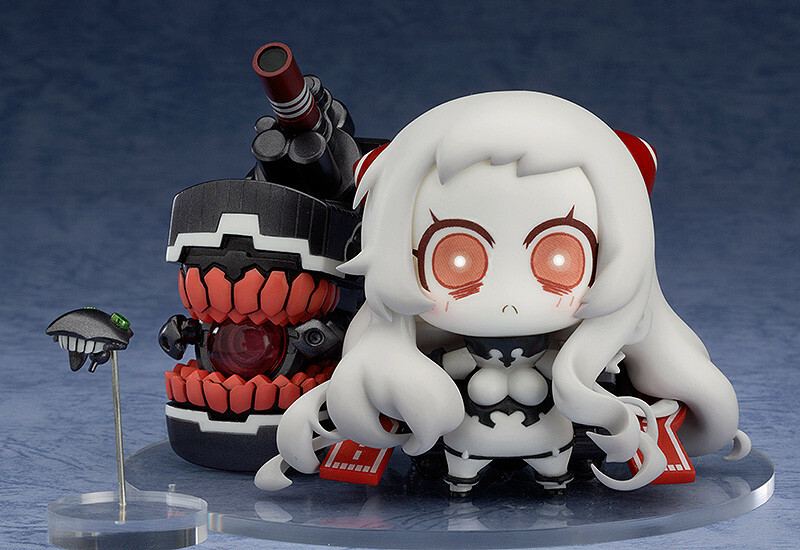 She also comes with a large cannon and abyssal aircraft to pose alongside her! Painted ABS & ATBC-PVC non-scale figure with stand included. Approximately 70mm in height. Preorders will be open from 18th December 2014 (Thurs) from 12:00JST until 14th January 2015 (Wed) at 21:00JST.